The Site C dam is threatening Canada’s largest national park – and Prime Minister Trudeau doesn’t seem to mind. Wood Buffalo National Park is home to fish, moose, bison, endangered migratory birds and a landscape the Mikisew Cree have depended on for millennia. But Trudeau’s inaction on assessing the potential impacts of Site C could put this globally significant region on the List of World Heritage in Danger. 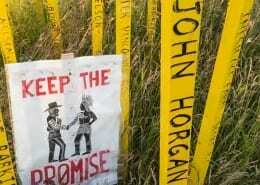 Please call on Prime Minister Justin Trudeau to halt Site C construction immediately and keep his promise to honour Indigenous rights! Your letter will also be sent to Ministers Catherine McKenna, Carolyn Bennett, Dominic LeBlanc, Jody Wilson-Raybould, Marc Garneau, and Jim Carr. Personal letters are the most effective. We encourage you to write your letter in your own words. Or, you can personalize the draft provided below. By providing your contact information, you consent to receive communications from us. We’ll protect your privacy and you can unsubscribe anytime. There are some places on Earth that simply must be protected. Machu Picchu. The Taj Mahal. The Grand Canyon. Venice, Italy. Pyramids of Giza. That’s why these places are designated as World Heritage Sites by the United Nations Educational, Scientific and Cultural Organization (UNESCO). Wood Buffalo National Park in northeastern Alberta is one of these gems. It is a UNESCO World Heritage Site and Canada’s largest National Park. But Canada is failing to protect this treasure by allowing the Site C dam to proceed. After Mikisew Cree First Nation, Sierra Club BC and others raised the issue, UNESCO’s World Heritage Centre implemented a review process and has strongly criticized Canada for failing to protect Wood Buffalo National Park. The UN report noted that impacts on the park are “far more complex and severe than previously thought.” It included 17 recommendations for Canada to address the threats the Park is facing from the Site C dam, tar sands development and poor water governance. 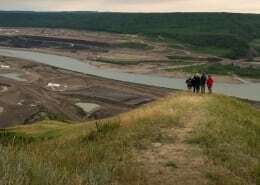 In early 2018, Parks Canada issued a rough outline of a plan to implement some, but not all, of the recommendations, notably rejecting the recommendation to conduct an environmental and social impact assessment of the Site C project. 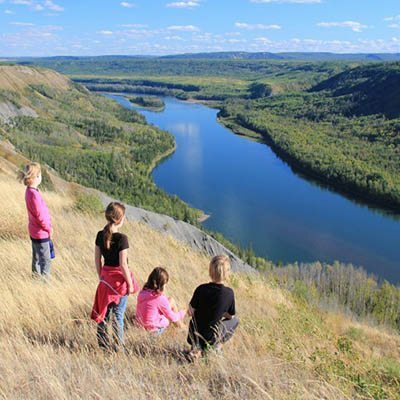 In November, 2018, Parks Canada released its draft Action Plan “to protect the World Heritage Values of Wood Buffalo National Park,” and again refused to take UNESCO’s recommendations to assess the impacts of Site C downstream on the Peace-Athabasca Delta. Parks Canada is not demonstrating a serious intention to protect the country’s largest national park. Wood Buffalo Park protects the Peace-Athabasca Delta—the largest inland freshwater delta in the world, and is downstream from the $10.7 billion (and counting) Site C megadam. Site C will reduce water flows in the Peace River, which threatens to dry up the park and the delta as a whole. This will compound damage being done by tarsands development in the region. The Peace-Athabasca Delta provides critical habitat for fish, moose, bison, and migratory birds including the endangered whooping crane. The Mikisew Cree, who have depended on this area for time immemorial, are highly concerned about the growing threats posed by reduced water levels and contamination in the delta. The Mikisew Cree and UNESCO are calling on Canada to make every effort to understand the possible impacts of Site C on this critical area. Please call on Prime Minister Justin Trudeau to halt construction on the Site C Dam immediately while the federal government assesses the potential impacts of the dam, and of tar sands development, on Wood Buffalo National Park. Ask your friends and family to write to Prime Minister Trudeau. Help us stop Site C Dam by becoming a monthly or one-time donor. With your support, we can defend this important landscape. A new statement from the UN Committee on the Elimination of Racial Discrimination (UNCERD) has underlined the urgency of immediately suspending construction of the Site C dam. BC and Canada have made a lot of big mistakes. And this is one it’s not too late to correct. Here are five reasons the Site C dam can—and should—still be stopped. Treaty 8 First Nations deserve to be heard on the question of whether flooding more than 100 kilometres of the Peace River and its tributaries would be an infringement of their treaty rights. This question needs to be addressed before the Peace Valley is flooded. The West Moberly and Prophet River First Nations are pursuing legal action over the Site C dam with the goal of stopping the dam completely. Adrienne Peacock has provided this guest blog shining a light on the problem of mercury contamination of fish, one of the issues raised in the court case.